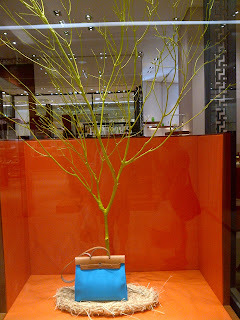 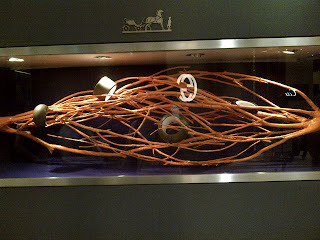 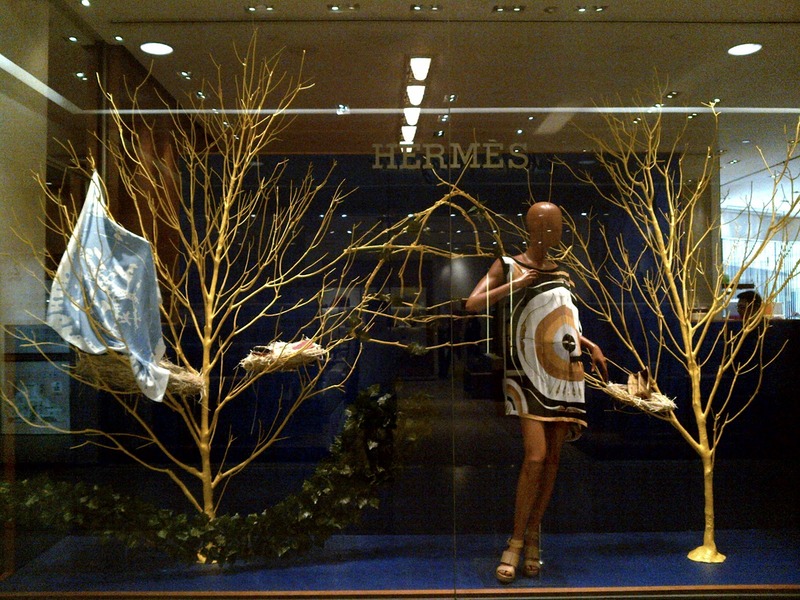 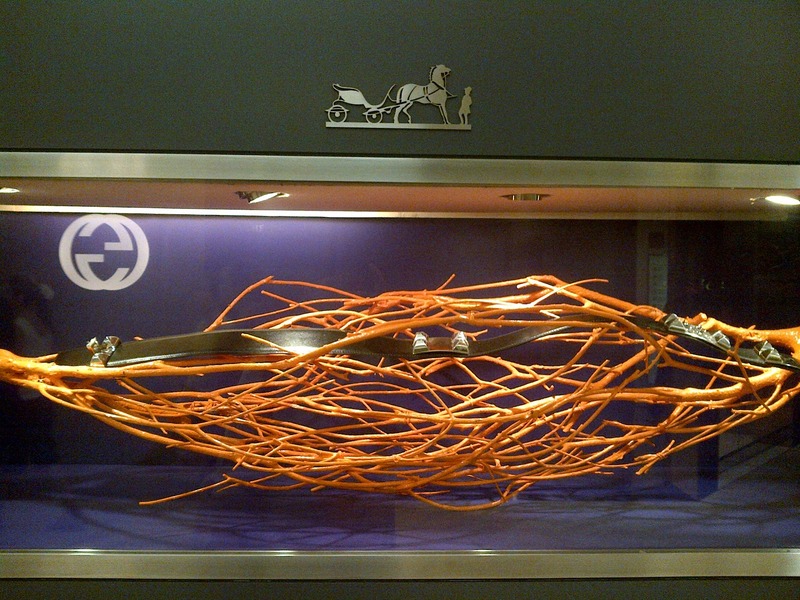 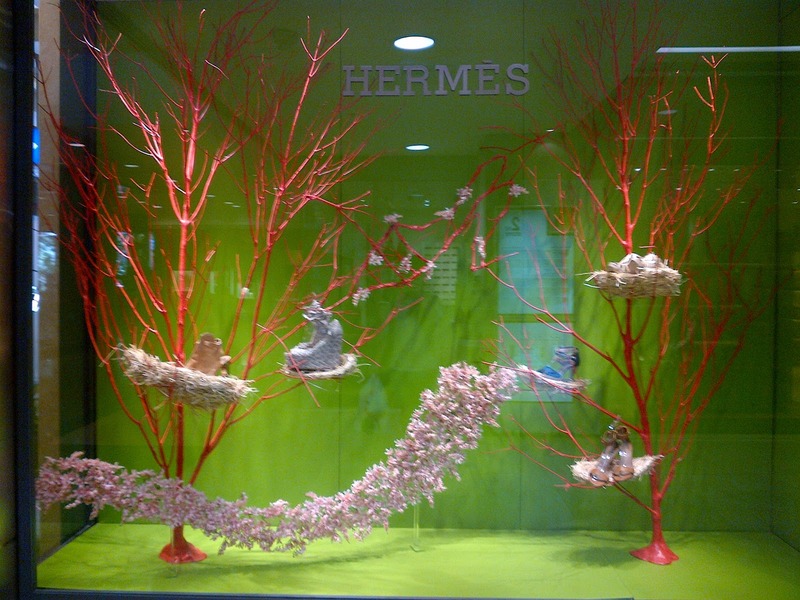 Hermes at Ngee Ann City uses dried twigs as the main theme for its window display. They are used to become the background of the mannequin, to display a hand bag, and even to display belt or other small jewelries. 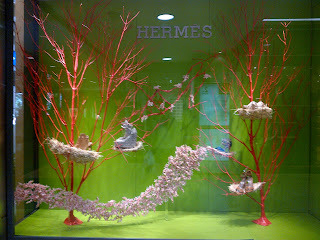 The result is a very natural looking window display yet also very beautiful as always.